As another year comes around, we’re all busier than ever in the walled garden, planning, pruning and ploughing, trying to make the most of this mild winter before the freezing weather arrives. The building work continues, Davie our landscape gardener has his work cut out laying paths and metal edges around our cherry orchard and building the beds and training posts for another 80 step-over apple trees. We’ve got a lot planned for 2019, starting with our new soft fruit beds in the south eastern quarter of the garden. 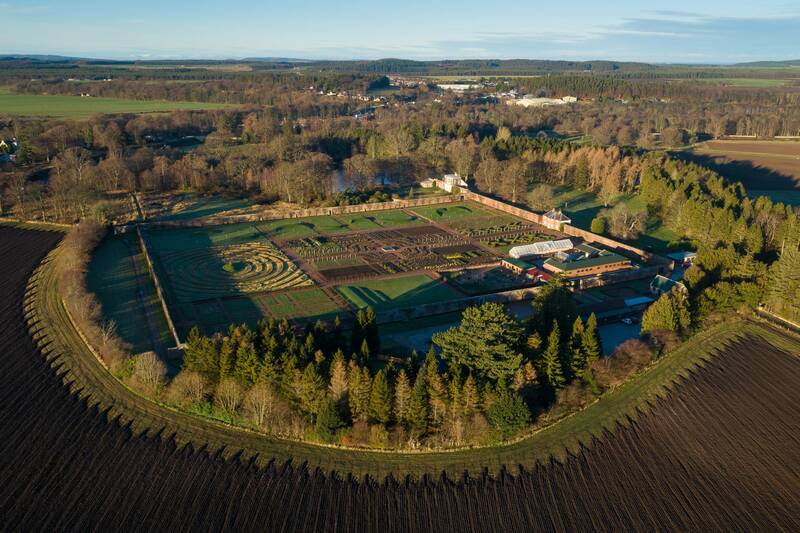 As with all of the projects at Gordon Castle, the fruit garden will be on a grand scale; 10 varieties of raspberries, 7 varieties of strawberries and 8 varieties of gooseberries will be grown with redcurrants, blueberries, blackcurrants and a myriad of other sweet and juicy delights. Most of the fruit will find its way into the capable hands of Dillon our head chef but there will be plenty left over for our raspberry gin, jam and biscuits. There will be fresh fruit for sale from our potting shed shop and the chance to pick your own later in the summer. We’ll keep you updated with regular reports on our progress. We have plenty of events planned for the year ahead; the Highland Games, our big birthday party, the garden and Christmas markets, outdoor theatre plus a full program of gardening and floristry courses. We’d love your feedback on how you would like to use our beautiful garden, so please get in touch with your ideas for courses or events. 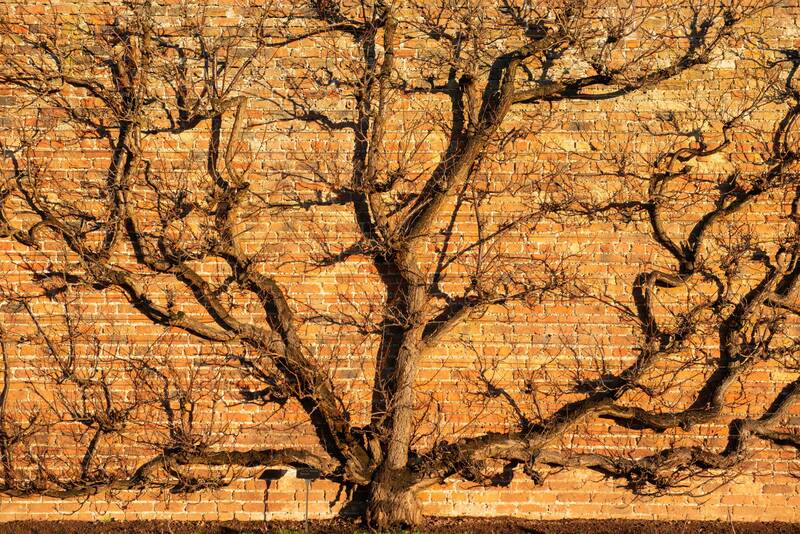 The seemingly endless task of pruning the 250 or so fruit trees trained against the walls has fallen to our senior gardener, Monika, this winter, and she is doing a sterling job. There’s still plenty of work to do but our grand old plum trees have never been so well tended, lets hope we get a bumper crop this summer. Watch this space for a how-to video about pruning and training trees in your garden. 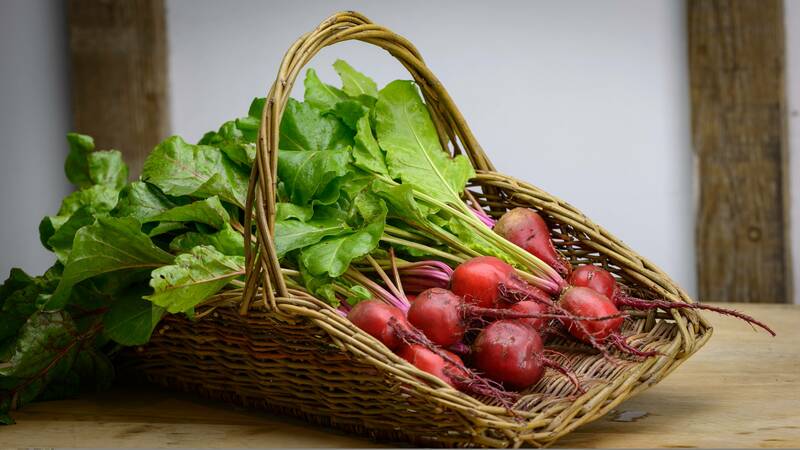 Leeks, beetroot, swiss chard and kale are still being harvested, good healthy fare after the excesses of the festive season, but most of the vegetable and cut flower beds have been stripped bare and the soil turned. At least 20 tons of well-rotted horse manure has been dug in this year to ensure the plants are well fed throughout the year. Even in the depths of winter signs of life are appearing in the garden; delicate yellow winter aconites in the lawns outside Garden Cottage and the pale pink blossom of our winter flowering cherries add a welcome splash of colour to the dark January days. 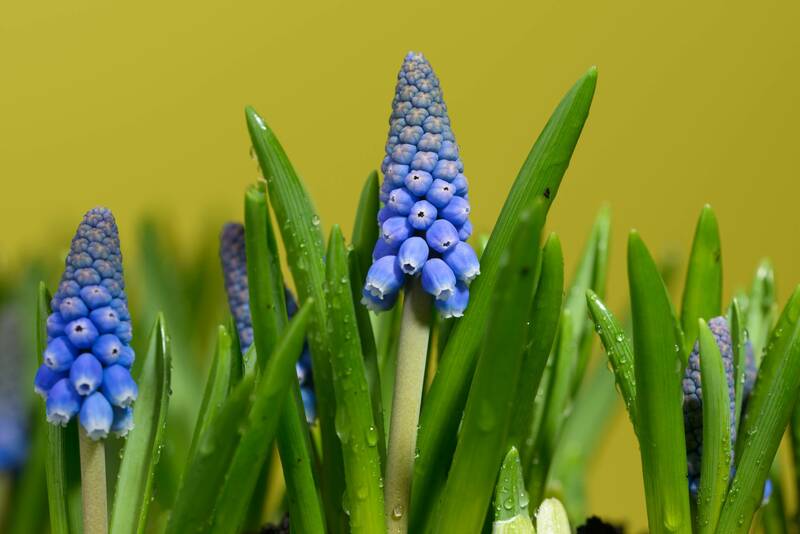 New shoots are starting to appear in the greenhouse as well, this year we have a wonderful selection of potted spring bulbs for sale to brighten up your house and garden. The sun rises a little higher in the sky every day and we can start to think about the season ahead with a little optimism. I’m expecting an early spring this year and before too long our crocus will start to flower, soon after daffodils, tulips, and muscari will herald the start of the growing season. As always please drop in and warm up in our cosy café and if you’re feeling hardy why not have a stroll around the garden and see how we’re getting on. Lovely update. In some ways, reminding ourselves to garden in the winter is more important than gardening in the spring. Plus, the winter harvest is always something to look forward to and a reason to get out in the garden!